Energy Queensland Limited is a 100% Government Owned Corporation, with a number of operating subsidiary companies, reporting to the Queensland Government. Our shareholding Ministers are the Deputy Premier, Treasurer and Minister for Aboriginal and Torres Strait Islander Partnerships and the Minister for Natural Resources, Mines and Energy on behalf of the Queensland community. Energy Queensland is overseen by a Board of eight directors. Energy Queensland’s Board Charter sets the framework for the Group’s long-term success, providing oversight and strategic direction to management alongside sound corporate governance structure and practices. Phil Garling joined the Board and was appointed Chair in 2016. He is also member of the Regulatory Committee. Phil brings to his role as Chair almost 40 years of experience in the Australian energy, construction, infrastructure and investment sectors, gained through an extensive board and executive career. 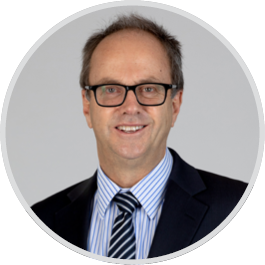 Phil is currently a non-executive director of Downer EDI Limited, Charter Hall Limited and Essential Energy Limited. He has previously been a non-executive director of Network NSW, which was formed when Ausgrid, Endeavour Energy and Essential Energy merged in July 2012 and was the inaugural Chair of the DUET Group for seven years. He has also completed the AICD Advanced Diploma. 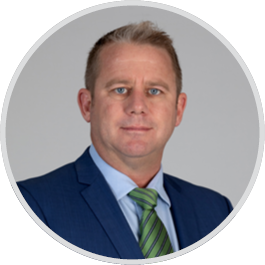 Phil’s understanding of the energy sector and his broad corporate experience are a valuable asset in guiding the future direction of Energy Queensland Limited. Mark Algie joined the Board in 2016. He is a member of the Audit Committee and the People and Safety Committee. Mark is a highly experienced human resources executive with over 15 years’ experience across numerous sectors including defence, heavy engineering, construction, utilities, infrastructure and media. He is currently the Managing Director of Human Outsource which specialises in the provision of human resources and industrial relations advice. He is also the Director, Events and Custom Media for News Corp Australia. Previously Mark was the Human Resources Director with APN, Australian Regional Media reporting to the Chief Executive Officer of Australian Regional Media. He also spent four years with Tenix Australia in a number of HR appointments including as Manager Human Resources Infrastructure, and two years with Ergon Energy Corporation Limited as a Senior Employee Relations Consultant. He began his career as an Army Officer with the Department of Defence. Kerryn Newton joined the Board in 2016. She is the Chair of the Risk and Compliance Committee and a member of the Audit Committee. Kerryn is admitted as a solicitor of the Supreme Court of Queensland and has more than 25 years’ experience in legal, management and commercial roles in the private and public sectors, and as a consultant working in an extensive range of industries. 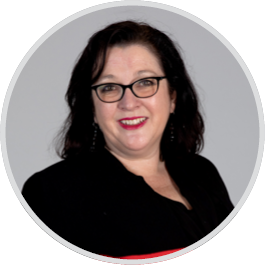 Currently, Kerryn is Managing Director of a national governance consulting firm and advises a wide range of organisations in the areas of governance, strategy and management. Over the past decade, Kerryn has chaired the boards of numerous not-for-profit organisations in the child care, aged care and housing sectors. She was a non-executive director of Energex Limited until 2016. Helen Stanton joined the Board in 2016. She is a member of the Audit Committee and the People and Safety Committee. Helen brings strategy, risk and governance expertise to the Board, with extensive utilities governance experience. Her career includes operational, leadership and commissioning roles in the mining industry. More recently Helen has worked as a consultant supporting organisations to formulate strategies for bottom line, sustainable improvements. 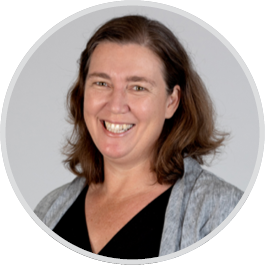 Helen is a non-executive director with Northern Territory Power and Water Corporation, where she is the Chair of the Audit and Risk Committee, Mater Health Services North Queensland and Northern Australia Primary Health Limited. She was previously a non-executive director of Ergon Energy Corporation Limited. Vaughan Busby joined the Board in 2017. He is a member of the Risk and Compliance Committee and the Regulatory Committee. 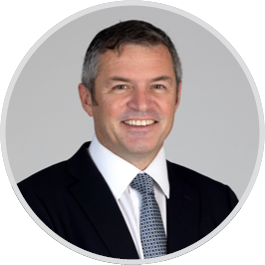 Vaughan currently serves as a non-executive director for ASX listed EOL, a company providing specialist software to the energy industry. Previously, he was a Director of Ergon Energy Queensland, and the Managing Director for HRL Morrison & Co Australia, an infrastructure fund manager responsible for managing the NZX listed fund Infratil. He has served as the Chair of Perth Energy, a vertically integrated energy retailer in Western Australia and as a non-executive director for Lumo Energy, an energy retailer operating in Victoria, South Australia, New South Wales and Queensland. He was also a non-executive Director of Infratil Energy Australia, a wholesale energy trading company. Vaughan was the Chief Executive Officer and Managing Director of Energy One, an electricity retailer, and a Director of Ferrier Hodgson. He has extensive experience, not only in the energy industry, but also in turn-around and corporate restructuring. Vaughan holds an MBA from the IMD Business School in Switzerland. Teresa Dyson joined the Board in 2016. She is the Chair of the Audit Committee and a member of the Regulatory Committee and the People and Safety Committee. Teresa is also a non-executive director of Seven West Media Ltd, Energy Super, UN Women National Committee Australia, Opera Queensland Limited and the Foundation for Alcohol Research and Education. She is the Deputy Chair of the Gold Coast Hospital & Health Services Board and a member of the Foreign Investment Review Board and the Takeovers Panel. Teresa is a lawyer with over 20 years’ experience advising the private sector and governments on complex infrastructure, mergers and acquisitions, finance transactions and social infrastructure. Teresa is currently a Consultant at McCullough Robertson Lawyers, specialising in taxation and governance in the not-for-profit sector. She was formerly a partner of Ashurst Lawyers and Deloitte Australia. In 2011, Teresa was named Woman Lawyer of the Year by the Women Lawyers Association of Queensland. Hugh Gleeson joined the Board in 2016. He is Chair of the Regulatory Committee and a member of the Risk and Compliance Committee. Hugh has over 30 years of experience in energy and utilities, and was the Chief Executive Officer of the electricity and gas distribution businesses United Energy and Multinet Gas for 12 years. He brings to the directorship significant experience in the areas of energy regulation and policy. 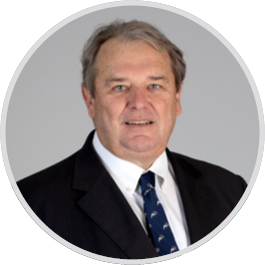 Hugh is a professional engineer, and has served on the boards of the Energy Supply Association of Australia and the Energy Network Association and has also been involved in the water sector. He is currently a non-executive director of Melbourne Water Corporation, gas distributor GDI (EEI) Pty Ltd (Allgas Energy) and electricity distributor Ausgrid. Our Executive Leadership team comprises of a Chief Executive Officer and six executive leaders. Belinda is the Chief Transformation Officer at Energy Queensland. 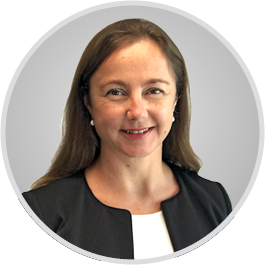 As an experienced senior executive, Belinda is currently leading a multi-functional, diverse and geographically dispersed team of over 1000 people, driving the transformational and cultural change necessary to shape Energy Queensland to realise its vision of Energising Queensland Communities. This is being achieved through the strategic direction and leadership of the people and safety functions, non-network assets (property, fleet, materials, inventory, warehousing), transformation, customer strategy and engagement, branding, innovation, internal and external communications and external stakeholder engagement teams. Belinda has a track record of transforming cultures and delivering strong business performance in complex public, private and not for profit organisations. Belinda also holds directorships with Energy Skills Queensland and the Electrical Safety Office. She has a Bachelor of Commerce, Masters of Applied Law, qualifications in finance and is a graduate member of the Australian Institute of Company Directors. Paul Jordon was appointed Executive General Manager, Distribution in December 2017. Paul is responsible for leading the Group’s electricity distribution network including the merging and transforming of Ergon Energy’s and Energex’s associated operational streams including works programming, field delivery, substations, customer and market operations and a dedicated emergency planning and response team into an innovative global leader in the Energy industry. 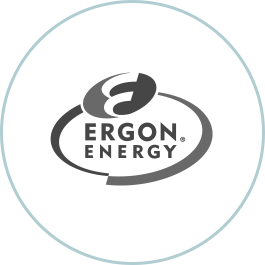 Prior to his current appointment Paul led the customer service elements of the Ergon Energy network which included ensuring the safe and efficient operation and maintenance of the distribution network. Paul has over 30 years’ experience in the electricity distribution and retail fields, both in Australia and internationally and brings a wealth of knowledge to all aspects of the EGM Distribution role including specialist levels of expertise in disaster preparedness and response and is a passionate advocate for the safety of our employees and our communities. Cheryl Hopkins was appointed Executive General Manager Retail of Energy Queensland in February 2017 and is responsible for leading the Group’s electricity retailing business, Ergon Energy Retail. This includes delivering a positive customer experience, managing wholesale energy procurement, and the ongoing development of products and service choices for customers. Prior to joining Energy Queensland, Cheryl has accumulated more than 30 years’ experience in the energy industry, working in senior executive positions in retail, upstream gas and corporate functions within large private businesses operating in highly competitive markets. Cheryl’s experience includes leading transformational change. Cheryl holds a Master of Business Administration from the Macquarie Graduate School of Management.